Microwave heating is an object absorbing microwave energy which can be converted into heat energy, which is completely different from other conventional heating methods.The traditional heating method is according to the principle of heat conduction, convection and radiation heat from the outside to the material quantity of heat, heat always passes of the heating material, its excellent material inevitably exist in the temperature gradient, so the uneven heating of the material, the material in local overheating;Microwave heating technique and traditional heating mode is different, it is through the heated body internal dipole molecule high frequency reciprocating motion, the internal friction heat and the heated material temperature, no heat conduction process, can make the material internal and external heating, heating up at the same time at the same time, heating speed and uniform, only traditional heating mode is one of the energy consumption of a few minutes or a few points to achieve heating.From the theoretical analysis, the amount of heat generated in the microwave field has a lot to do with the types of matter and their dielectric properties. 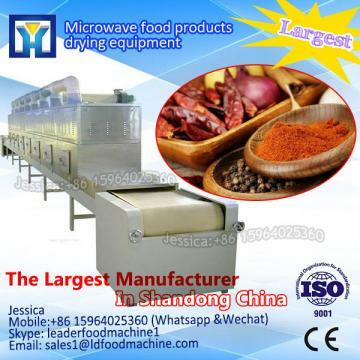 Microwave heating is characterized by fast heating speed, small loss of heat loss and convenient operation, which can shorten the process time, increase productivity, reduce cost, and improve product quality. 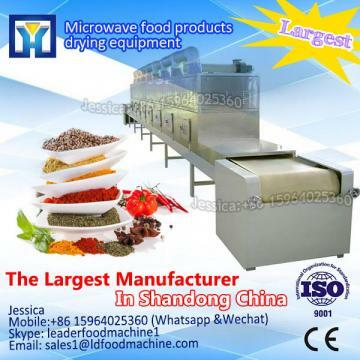 If you interesting in big production NEW TECHNOLOGY microwave no water blanching equipment for vegetables ?kindly ask me, Shandong industrial microwave oven can give technical support and service.